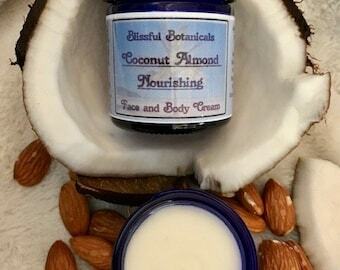 Announcement All natural handcrafted creams made by a seasoned herbalist. Completely pure, these soothing, luxury healing emulsions feed and repair skin without any harsh or synthetic ingredients. Potent healing herbs are hand infused into rich oils and butters for optimal results, and pure essential oils are added gently with expertise to enhance efficacy and elevate your senses. Blissful Botanicals Handcrafted Herbal Skin Care was originally opened in 1997 by a mother - daughter herbalist duo and has been in business ever since, using online and in person platforms. Happy to finally have the time to open an etsy shop as well. In 2004 Lucy (mom) assumed the business and is your devoted expert herbalist and cream maker. Lucy has studied and practiced natural healing modalities for over 40 years - since her teens - when she learned Transcendental Meditation, which she now teaches full time. Lucy has studied extensively with Rosemary Gladstar, Eliot Cowen, Gail Ulrich, Rosita Arvigo, and more. Her reverence and knowledge of plant healing is deep, broad, honed, and incredibly attuned. 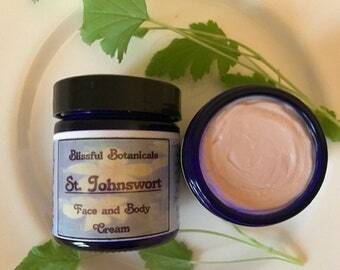 All natural handcrafted creams made by a seasoned herbalist. Completely pure, these soothing, luxury healing emulsions feed and repair skin without any harsh or synthetic ingredients. Potent healing herbs are hand infused into rich oils and butters for optimal results, and pure essential oils are added gently with expertise to enhance efficacy and elevate your senses. I love love love this Feminine Flower Cream. It truly is rich, creamy and so very soothing. 💜🌷💜. Incredibly creamy, smooth, and luxurious! So soothing and gentle. Lucy's creams are so good, can't live without them! Been using them for over 20 years. The best.